Alpha 1 Foundation - Creative Mindworks, a Miami Florida based internationally ranked integrated marketing and advertising firm, solutions driven and Thinking Fresh Daily! 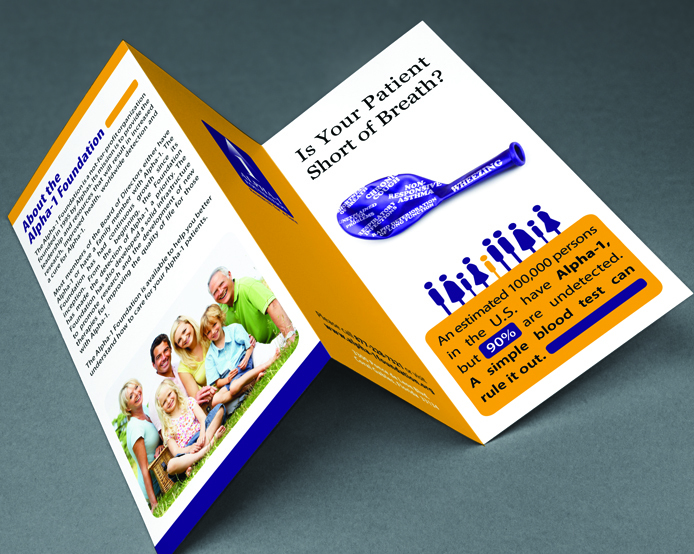 The Alpha-1 Foundation is a not-for-profit Florida corporation that was founded by three individuals diagnosed with Alpha-1 Antitrypsin Deficiency who wanted to raise awareness of this rare breathing disorder. Creative Mindworks created a visual mnemonic that placed respiratory symptoms on purple balloons representing the ability to breathe. 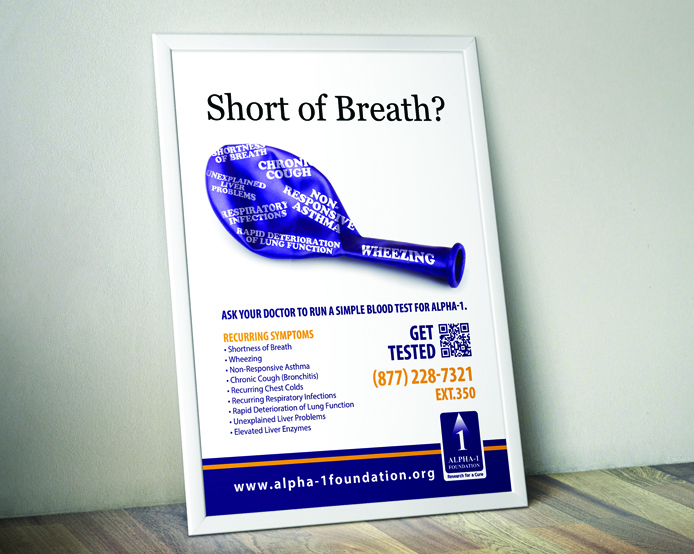 The initial “Get tested” campaign was success and is still being used at events and in collateral to raise awareness and encourage testing for Alpha-1 Antitrypsin Deficiency.